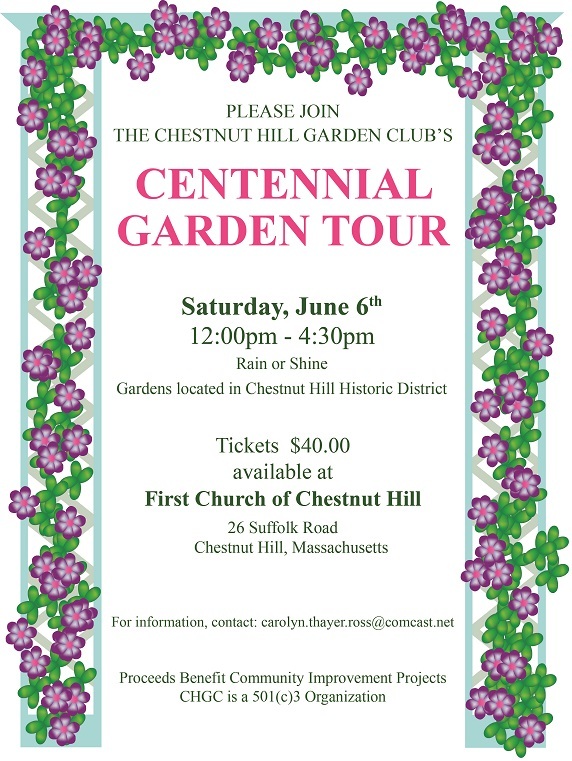 In honor of its 100th anniversary, the Chestnut Hill Garden Club will be holding a garden tour on Saturday June 6th, 2015. Nine gardens in a small, walkable area within the Chestnut Hill Historic District, will be open for viewing and gardening inspiration. Advance tickets are $35 person and can be purchased online. On the day of the event, tickets will be $40 per person and can be bought at First Church of Chestnut Hill (26 Suffolk Road). 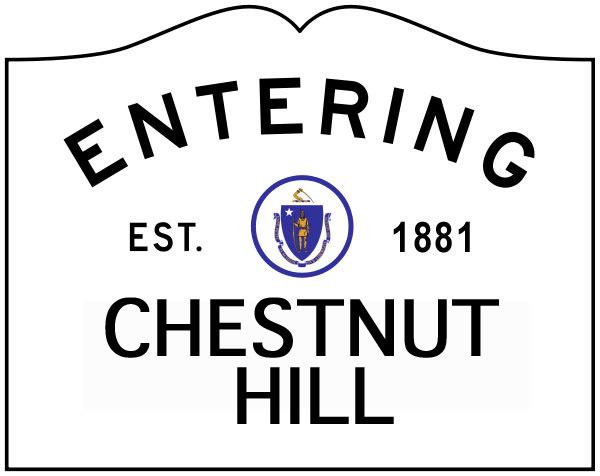 For more information on the Chesnut Hill Garden Club, visit their website. Chestnut Hill Reservoir Landscape Walk and Talk with Marion Pressley. 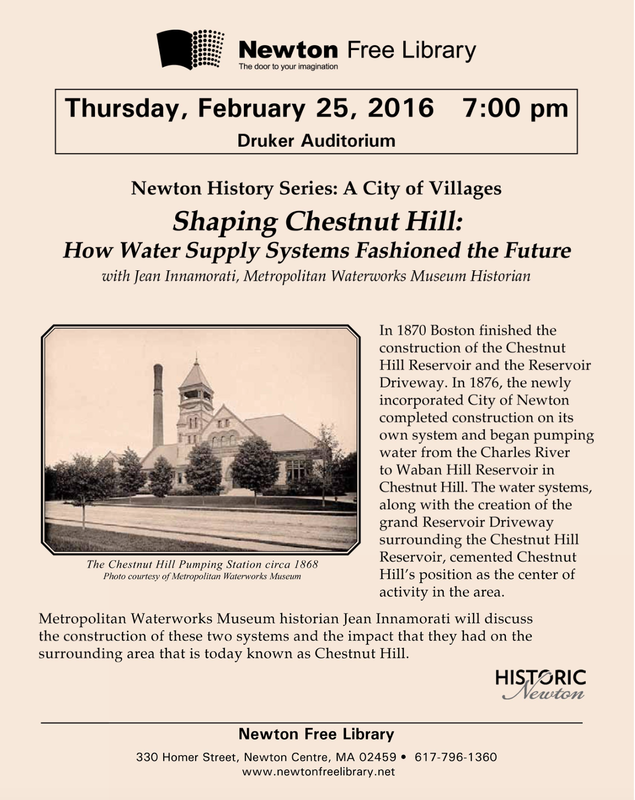 Take a historical tour of the Chestnut Hill Reservoir with Marion Pressley, landscape architect and principal of Pressley Associates. Pressley has expertise in cultural landscape and the preservation and restoration of public parks, institutions and private historic properties. Wear comfortable shoes. Event is fre and will go on, rain or shine. Water supplies in this country have endured two world wars, terrorism threats, natural disasters, environmental risks and the occasional aqueduct break. Marcis Kempe, Waterworks Museum executive director and retired MWRA engineer, will review the many threats that have arisen over the years and discuss how water suppliers have responded to protect public drinking water. Turn on the faucet and clean water comes out. But where did it come from? How did it get there? Was it always so easy to get water to your home? Marcis Kempe, Waterworks Museum executive director and retired MWRA engineer, tells the complex and fascinating history of the water supply for Boston, the region and the state. 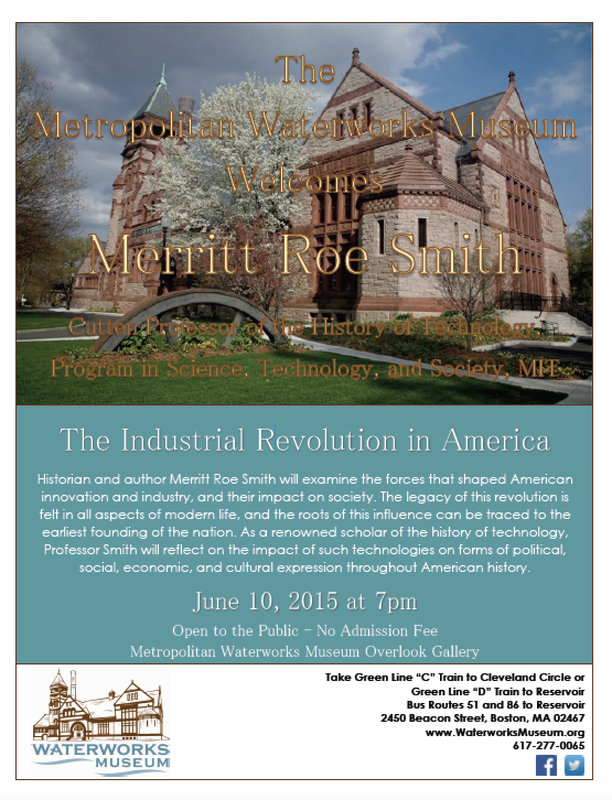 For more information on these and other events, visit the Waterworks Museum website.